A powerful medicinal plant of the Pacific Northwest. Devil’s Club is a tall woody shrub that grow’s in Canada’s Pacific Northwest. It has long thorns, and large maple shaped leaves. This plant is very important both spiritually and medicinally to the Coastal First Nations people, and is a member of the ginseng family. Some refer to this plant as “North American Ginseng”. Traditionally wild Devil’s Club is used to help the body adapt and heal from stress, illness, anxiety, and to aid in the treatment of deep tissue pain and arthritis. The root bark is used as a herbal tea and can also be added to bath water for an herbal “body tea”, or for creating your own herbal products. Devil’s Club has a unique conifer-like spicy aroma. Caution: The above information is for educational purposes only. Devil’s Club is not advised for those with diabetes as it is said to affect blood sugar levels. Some people are especially sensitive to this plant so it is advised to test a small patch of skin before using this herb in any application. Please research all natural products before using them and be sure to consult with your healthcare practitioner if you are pregnant, on medication or have a pre-existing health condition before use. Category: Bulk Herbs & Mushrooms, Wild Herbal Tea. Tags: bulk, buy devil's club, club, devil's, devil's club, devil's club bark, devil's club for sale, herb, Oplopanax horridus, wildcrafted. 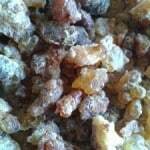 At Laughing Lichen we harvest Wild Devil’s Club Root Bark in the mountains of British Columbia’s Pacific Northwest. Devil’s Club is often referred to as Alaska Ginseng, or Tlingit aspirin. Devil’s Club has been utilized throughout history for is medicinal, spiritual, and technological uses by many indigenous groups across North America.There are many uses for this large woody shrub. The spring harvest of leaf buds makes an excellent side dish for any meal. The red berries in mid summer provide food for squirrels and bears. 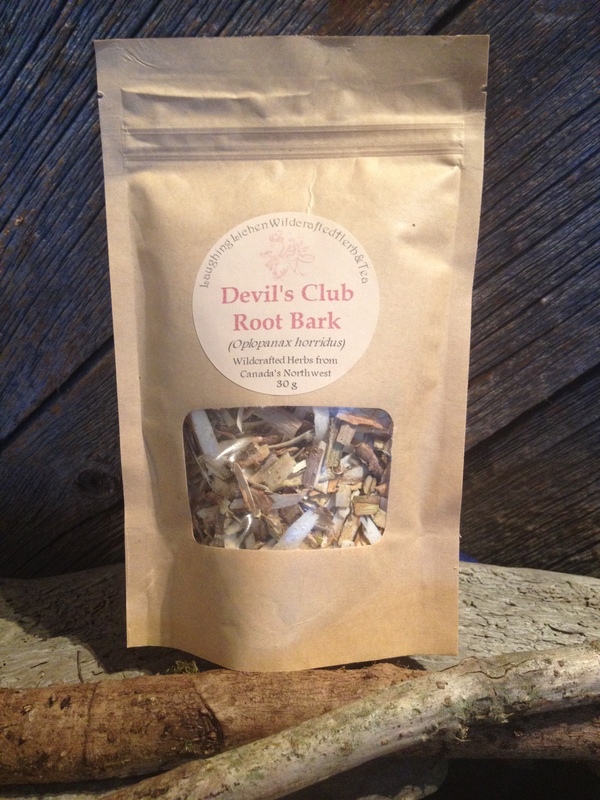 The root bark is commonly used to make medicinal salves, tinctures, herbal oils, and also as tea.